Our range of laboratory bacteriological incubators are available in different size from 35 Liters to 1000 Liters. These laboratory bacteriological incubators are based on latest Technology & are available in compact sizes. We used High grade M.S. 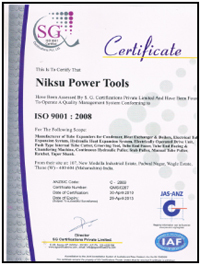 Sheet & S. S. sheet for the manufacturing Process Ensuring Optimum Efficiency & Performance Level. 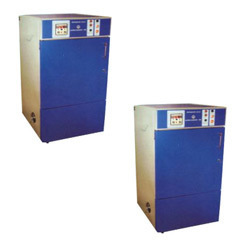 • Incubators are Sturdy Double walled Unit. • Inner chamber made of S.S.304 & outer chamber made of M. S. powder coated. • Gap between the two walled filled with glass wool insulation to avoid heat loses. • Heating element is made of high grade chrome plate nichrome wire. • Temp is controlled by thermostat. • Air Ventilation is provided on the top of the unit to remove the hot gases/Fumes. • All the control switches & Pilot lamps are fitted on the front panel. • Tray should be supplied with G.I. ware Mesh.